On behalf of the Legalhelp-AZ. Posted in Helpful Articles on Sunday, April 29, 2012. 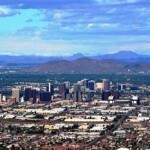 “Mortgage to Lease Program for Arizona” by experienced debt relief attorneys and lawyers at legalhelp-az. Currently offered in Arizona, Nevada, and New York, the “Mortgage to Lease” program is reaching out to 1,000 homeowners that are in danger of losing their homes to foreclosure by becoming renters instead of owners. In order to save homeowners from being evicted, Bank of America is trying this new program. According to the terms of the agreement, the bank asks the homeowners to hand over the deeds to their homes, then the bank will let them rent their properties at the current market value. 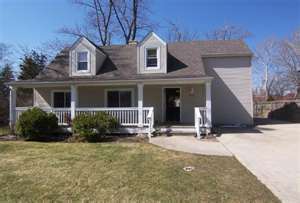 “Mortgage to Lease” is intended to serve as an option to short sales and mortgage reductions. A homeowner may attempt to keep their home by selling it in a short sale or by reducing monthly mortgage payments , but when these efforts fail, the homeowner is eventually forced out by the bank. Upon transferring their home’s title to the bank, participants who meet the requirements to qualify for the “Mortgage to Lease” would be able to lease their homes; the rent being less than their current mortgage payments. Also, these participants do not have to pay property taxes or homeowners insurance. For more information on the Mortgage to Lease Program and any other debt relief questions that you may have, please contact the experienced lawyers at Legalhelp-AZ today. We offer Free debt evaluations daily and evening and weekend appointments. Our legal fees are some of the most reasonable in all of Arizona. You can reach our experienced lawyers at (480) 263-1699 in the Phoenix and Mesa Metro Areas, (623) 640-4945 in the Peoria and Glendale, Arizona regions, and at (520) 306-8729 in the Tucson metro area. On behalf of the Legalhelp-AZ. 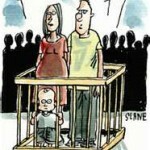 Posted in Family Law Articles on Sunday, April 29, 2012. 7 Tips for appearing in Arizona Family Court by experienced family law attorneys and lawyers at legalhelp-az. Even with An experienced family law attorney from legalhelp-az.com, there are things a party could do or say that may negatively impact their family law case. Here are a few tips for putting your best foot forward when appearing in front of family law judges in Phoenix, Mesa, Tucson, Glendale, or throughout Arizona. 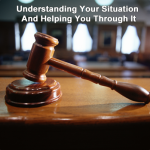 It is important to remember that matters in an Arizona family law court can be emotionally charged so it’s important to adhere to the following tips so you don’t work against yourself in the courtroom. 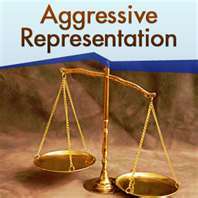 Do yourself a favor an act appropriately, no matter what the circumstance while appearing in an Arizona family law court. Be on time. Courts and Judges are very busy and often have back-to-back hearings. If you are late and the court has to wait for you, you are already off to the wrong start. Our experienced family law lawyers will do their best to keep you on time but ultimately you are only hurting yourself by being tardy. Dress appropriately. No t- shirts, spaghetti strap tops, chewing gum, hats, or sweatpants. 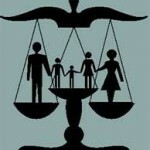 Arizona family law court matters are serious matters and you should treat them as such. If you have doubts about what is appropriate, ask your experienced family law lawyer from legalhelp-az, we will help you. 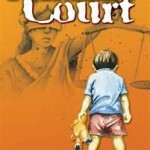 Be courteous to court staff. They have a direct line to the judges. If you are rude or obnoxious to court staff, the judge will definitely hear about it. Treat your Lawyer and you opposition’s Lawyer with respect. If you do happen to have issue with your lawyer, take it up with him after the proceedings behind closed doors. You should never argue with the opposition’s lawyers, they will be trying to make you lose your cool. Do not fall into this trap. Be on your best behavior. There may be times when the judge or some member of the Arizona Family Law court addresses you directly, answer clearly and refer to the judicial officer as “your honor” or “judge.” Do not interrupt the judge! Do not speak unless asked directly by the court or your attorney. Your Arizona family law attorney is working on a lot of things at once in the courtroom—making your argument, responding to questions from the judge, preparing objections, anticipating rebuttal arguments, taking notes, and making a clear record. Let your Arizona Family Law Attorney do his job, he is working hard to protect your rights. Get your emotions in check. Crying is ok, but do not speak out or exclaim anything unless you are asked a direct question. No profanity! If you are frustrated with your attorney or something that has happened inside the Arizona family courtroom, save it for after the hearing. Don’t be afraid to ask questions. 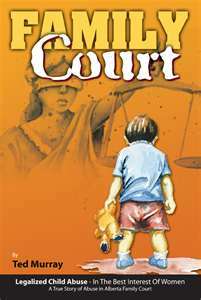 Court is a foreign experience for most family law litigants. If you have questions about the proceedings, what is being said, or procedure ask your attorney. Ask your attorney the questions that you have, do not interupt or question the judge. At the end of some hearings, judges will ask parties if they have any questions. If you have a question—speak up then! This is your life, your children, your rights, and your money and you should be well-informed about what is going on and what your options are. 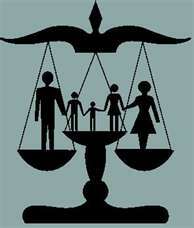 Contact our experienced Arizona family law attorneys today. We will help you in your time of need. We offer FREE initial consultations, payment plans, and the experienced you want on your side when dealing with family law issues in Arizona. 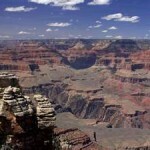 Filing for bankruptcy in Arizona will have a negative effect on your credit. Although filing for bankruptcy in Tucson, Mesa, Glendale, or throughout Arizona might seem like an easy way to erase your debts and start over with your life it also involves many more things that you may not be familiar with. Not only could you lose your home but you will also have bankruptcy stay on your credit report for an average of seven to ten years. Depending on the type of bankruptcy you file for, your credit report could drop by as much as 240 points just after filing. A chapter 7 or chapter 13 bankruptcy filing will be reported on your credit file for up to ten years. 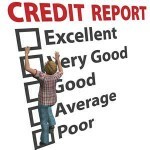 However, in the ever changing society and with the current recession the ding bankruptcy leaves on your credit report is considered less and less important. Even if you choose to file for bankruptcy protection you can rebuild your credit fairly quickly after bankruptcy. An experienced debt relief expert can guide you through the best ways to not only prepare for your bankruptcy but also how to re-build your credit after filing bankruptcy with a Mesa bankruptcy law firm. Filing for bankruptcy in Arizona with a Mesa bankruptcy attorney has a significantly negative effect on a person’s credit for five to seven years after the discharge of the bankruptcy. The negative effects of filing bankruptcy can prove a serious impediment to obtaining new credit lines and loans. The one benefit is that there are certain lending institutions that loan to high-risk borrowers, such as those with a past bankruptcy. The drawback to obtaining credit quickly after a bankruptcy is that the interest rates can be extremely high. (often 25 percent or more). 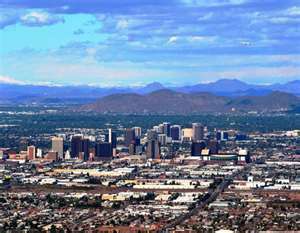 Once you have filed for bankruptcy in Arizona you will only be able to get very limited lines of credit, which will generally be limited to credit cards and secured loans. In order to get a credit card you will likely have to deposit money with the issuer and will, in essence, be charged more to spend your own money. 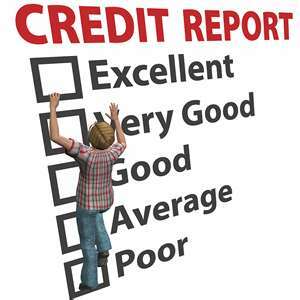 However, if you do get a credit card that has a credit builder feature, you can use this to slowly improve your credit rating over time. If you have additional questions about how filing bankruptcy may effect your future credit and credit score. Please contact our Arizona bankruptcy law office today. Were you arrested on criminal charges or pulled over on a DUI or traffic violation in the Tucson, Arizona area? If so, you will need a strong defense and smart legal advice to protect your rights, your license, your freedom and your future. Our Tucson DUI lawyers and Tucson DUI attorneys can assist you with all aspects of DUI in Tucson, Arizona including: Arizona DUI Laws, penalties for driving under the influence in Tucson, Arizona, Arizona driver’s license revocations, field sobriety tests in Tucson, Arizona, the criminal court process regarding DUI, expensive post DUI car insurance, life after a DUI arrest, restricted Arizona driver’s license information, and other necessary need to know information regarding a DUI arrest in the state of Arizona. Drunk driving in Arizona can be a felony charge if you have prior convictions, and even a first offense DUI carries severe consequences. Our Tucson DUI attorneys aggressively challenge your arrest for drunk driving and will attempt to get charges dropped or reduced. Our experienced Tucson DUI attorneys will exhaust all avenues to avoid jail, preserve your driving privileges and keep the Tucson DUI off of your driving record. The longer you wait, the worse your outcome can be, contact our Tucson area DUI lawyers today to schedule a free consultation about your case. Let our TUcson DUI attorneys and Tucson DUI lawyers take the worry out of your life and get you back on track to a brighter future. The consequences and penalties a person faces for a Arizona DUI offense are getting tougher every year. Even if you are facing a misdemeanor DUI charge, do not think for a minute that just because it is a misdemeanor charge that you can represent yourself in court without hiring an experienced Tempe, Arizona DUI attorney to represent you and have the charges against you reduced or even quite often dismissed. Let our experienced criminal and DUI lawyers take a look at your case. Our DUI law firm offers FREE Initial DUI Consultations (either in person or by phone). We offer evening and weekend consultations for your convenience. Your FREE Tucson DUI consultation is completely a no obligation consultation with one of our experienced Tucson DUI attorneys. CALL (520) 306-8729 for a FREE, No Obligation DUI Consultation. Looking for a bankruptcy attorney in Fountain Hills, Arizona? 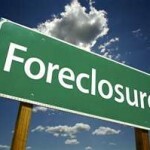 Is filing bankruptcy in your future? Contact a Fountain Hills Bankruptcy Attorney for assitance today. Our Fountain Hills bankruptcy lawyers are here to help you learn about the process of filing chapter 13 bankruptcy and chapter 7 bankruptcy in Fountain Hills, Arizona. How does our experienced and low cost Fountain Hills, Glendale, and Mesa bankruptcy law firm offer you some of the lowest bankruptcy fees in all of Arizona along with a no obligation, free bankruptcy consultation? That is a good question. In today’s economic upheaval in Fountain Hills, Mesa, and Glendale, Arizona, many hardworking, honest individuals and families are being overwhelmed by financial worries, garnishments, repossession, and foreclosure problems. 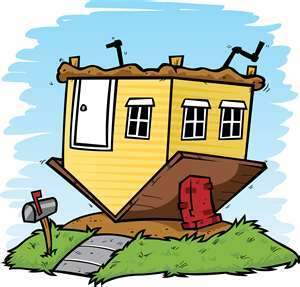 Many are losing their homes, their vehicles, their 401 K, and their life savings. These hardworking individuals in Fountain Hills need bankruptcy advise and sound legal guidance, prompt debt relief, and the chance at a “Fresh Start”. Our Fountain Hills bankruptcy attorneys, bankruptcy lawyers, and debt relief specialists will provide the help that is needed to give the people of Fountain Hills, Arizona the chance at a “Fresh Start”. The moment your chapter 7 bankruptcy or chapter 13 bankruptcy is filed with the bankruptcy court by one of our experienced bankruptcy attorneys, the protective measures of bankruptcy become effective. These protective measures better known as the “automatic stay” instantly take effect. All garnishments will cease, collection actions against you must stop as creditors will be forbidden from attempting to collect debts. Your Fountain Hills bankruptcy attorney will advise you as to which chapter of bankruptcy may be the best for you and your financial situation. Filing chapter 13 bankruptcy or chapter 7 bankruptcy in Fountain Hills, Arizona is not the right choice for everybody. Our bankruptcy lawyers understand that bankruptcy isn’t always the answer. We will not recommend filing bankruptcy if it isn’t in the best interest of you and your family. Call us today for a free consultation, get your bankruptcy questions answered. Find out if filing bankruptcy is the best option for you. An experienced bankruptcy attorney, debt relief specialist, or bankruptcy lawyer will be able to help guide you and figure out what debt relief solution is the right solution for your financial situation. Get the facts, figure out if filing bankruptcy in Fountain Hills is something that you should consider. Are you behind on payments, receiving harassing creditor calls, facing vehicle repossession, or having your wages garnished? 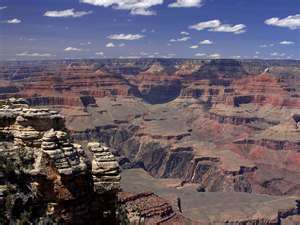 Declaring bankruptcy in Fountain Hills, Arizona might be something that you should consider. Are you ignoring dozens of collection calls a day or thinking about changing your phone number? Are you being sued or having your paycheck garnished? Are you hiding your vehicle from the repo man? Are creditors harassing you at home? At work? Filing chapter 13 bankruptcy or chapter 7 bankruptcy in Fountain Hills, Arizona might be the solution for you. 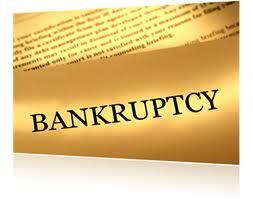 Contact our Low Cost Bankruptcy Law Firm Now! Our Tempe, Arizona DUI Defense Center is your complete source regarding information about Arizona DUI Lawyers and Arizona DUI Attorneys, Arizona DUI Laws, penalties for driving under the influence in Tempe, Arizona, Arizona driver’s license revocations, field sobriety tests in Tempe, Arizona, the criminal court process regarding DUI, expensive post DUI car insurance, life after a DUI arrest, restricted license information, and other necessary need to know information regarding a DUI arrest in the state of Arizona. The consequences and penalties a person faces for a Arizona DUI offense are getting tougher every year. Even if you are facing a misdemeanor DUI charge, do not think for a minute that just because it is a misdemeanor charge that you can represent yourself in court without hiring an experienced Tempe, Arizona DUI attorney to represent you and have the charges against you reduced or even quite often dismissed. Let our experienced criminal and DUI lawyers take a look at your case. Our DUI law firm offers FREE Initial Consultations (either in person or by phone). 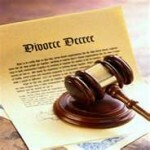 Your FREE consultation is completely a no obligation consultation. It is important to understand that if a person is convicted of a DUI offense in the state of Arizona, that DUI conviction will remain on that person’s criminal record for life. What this means is that you will not be eligible to have the DUI conviction expunged from your criminal record. Arizona law only allows a DUI conviction to be expunged from a person’s criminal record if the charges against that person were dismissed, you were found not guilty, or if you received a deferred disposition. With the penalties of being convicted of DUI in Tempe, Arizona being so strict, it is a necessity to seek out the help of an experienced and aggressive Arizona DUI lawyer. Our Arizona DUI attorneys will be there for you every step of the process while facing DUI charges in Tempe, AZ. Contact our DUI Lawyers today at: (480) 263-1699 or visit us on-line at: https://legalhelp-az.com. We look forward to hearing from you. The impact of having a Arizona DUI conviction on your criminal record can cause future problems such as when applying for a job where the prospective employer conducts an Arizona Background Check on applicants before hiring or offering the job. The number of employers who conduct a background check on a potential employee before hiring that individual is on the rise and will continue to rise. Also if an employment application asks if you have ever been convicted of a crime, you must disclose the DUI conviction on the application because this is a sign that the prospective employer is going to conduct an Arizona Background Check on you the potential employee that they are looking to hire. The legal process can be emotionally and financially draining, our Arizona criminal law firm offers peace of mind to ordinary and extraordinary people every day. Our Tempe, AZ DUI attorneys make a difference by changing people’s lives, one case at a time. Our legal services are affordable, ethical, and trustworthy. We are very good at what we do and we will be able to help you out if you are facing DUI or criminal charges in Tempe, Phoenix, Mesa, and throughout Arizona. We care about our clients and take care of all of their needs. Looking for a bankruptcy attorney, bankruptcy lawyer, bankruptcy law firm, or debt relief agency in Chandler, Arizona? Look No Further! Get your free debt evaluation and initial bankruptcy consultation today! Our Chandler, Arizona bankruptcy law firm is not your ordinary Chandler, AZ bankruptcy law firm. Our bankruptcy lawyers and bankruptcy attorneys want to establish a personal relationship with you so that you feel at home in our Arizona bankruptcy law offices. Our compassionate staff has the experience necessary to help you with your current financial situation and will guide you through the entire bankruptcy process. Call (480) 263-1699 Today! The hard economic times in Arizona, may have prompted you to ask, “where’s my financial bailout?” Personal bankruptcy is a federal court proceeding designed to help consumers discharge or repay debts under the protection of a bankruptcy court. The purpose of filing Chapter 7 or Chapter 13 bankruptcy in Arizona is to allow debtors to focus on a “fresh start” when they have gotten in over their heads with debt. No matter how dire your situation, our Chandler bankruptcy attorneys can provide you with attentive and efficient legal services. Our Chandler bankruptcy law firm can help both personal and small business bankruptcy filers. When you are having trouble paying your bills, it is easy to feel overwhelmed. You probably have creditors calling and sending threatening letters demanding payment. A bad financial situation will take its toll on you and your family, it can reach a point where you are afraid to pick up the phone or collect the mail. All you really want is a way to get out from under your debt and move on with your life. Even the hardest workers and the most diligent bill-payers in Chandler, Arizona can find themselves with more debts than they can pay as they become due. In such cases, filing Chapter 13 or Chapter 7 bankruptcy may provide a solution to what seems like an insurmountable problem. If you or someone you know is facing serious financial challenges, it is very important to seek the counsel of a Chandler bankruptcy attorney or Chandler bankruptcy lawyer. Once considered a last resort, declaring bankruptcy has evolved into an accepted method of resolving serious financial problems, stopping wage garnishments, ending constant creditor calls, avoiding a repossession, and providing a “fresh start”. Our Chandler bankruptcy lawyers’ goals are to help debtors get back on their feet. 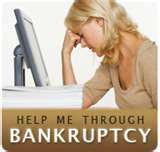 There is “Life after filing bankruptcy”, get the details by Contacting our Bankruptcy Attorneys for a free consultation. Our Chandler bankruptcy lawyers are skillfully represented in all aspects of a bankruptcy case. Our knowledgeable bankruptcy attorneys can guide you through the complicated legal maze of bankruptcy laws. Our Chandler, AZ bankruptcy lawyers can examine your unique financial situation and recommend the best way to fight your debt today. 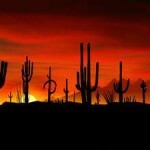 If you are considering filing for bankruptcy in Tucson, Arizona, you do not have to make this decision alone. Tucson bankruptcy attorney Zach Price and the experienced bankruptcy staff of The Bornmann Law Group can provide you with the help and support you need to handle your financial situation. Contact our Chandler Bankruptcy Lawyers today at 480.263.1699 to schedule a free initial consultation. We offer low legal fees, flexible appointment times, and FREE consultations (either in person or by phone). Contact our Chandler, Arizona bankruptcy law firm today. Searching for debt relief? Learn from a Glendale, Arizona bankruptcy attorney now about potential solutions to your current financial situation. Get back in control of your finances with advocacy from a bankruptcy lawyer in Glendale, AZ. As an affordable bankruptcy law firm serving clients in Glendale, Phoenix, and Peoria, Arizona, our goal is to provide you with exceptional personal service. If you are being harassed by creditors or face the loss of wages to a garnishment or the loss of your home to a foreclosure, our Glendale, AZ bankruptcy lawyers can help. If you are in Glendale, Peoria, or a surrounding Arizona community and are overwhelmed with debt, chapter 7 and chapter 13 bankruptcy protection provides an option. If you are in need of debt relief from your current financial situation, you can carry that debt on your shoulders for the foreseeable future, or you can start fresh. Come in for a FREE Bankruptcy Consultation with our experienced Glendale bankruptcy lawyers and find out what options are available to you. There is no obligation and your FREE bankruptcy consultation can be either in person or by phone. Filing for chapter 13 or chapter 7 bankruptcy in Glendale, Arizona can mean the difference between saving your home or foreclosure. Declaring bankruptcy in Arizona can stop garnishments, discharge medical bills, and end harassing phone calls from creditors. Our clients often find that after filing for chapter 7 or chapter 13 bankruptcy that they have room in their budget and they breathe easier knowing their debts are behind them. Are you ready to start fresh? Call (480) 263-1699 and set up a FREE, no obligation debt evaluation today. You can also set an appointment by visiting us at https://legalhelp-az.com Bankruptcy in Glendale and Peoria, Arizona is our business, we look forward to hearing from you. If you are being harassed by creditors or face the loss of wages to a garnishment or the loss of your home to a foreclosure, Our Glendale, AZ bankruptcy lawyers can help. Our trusted bankruptcy lawyers will take the time to understand your personal situation and help you make the right decision. That decision may be working with a debt reduction service, negotiating with creditors, obtaining a loan modification, converting a short sale, or even filing a lawsuit to stop foreclosure. If filing bankruptcy in Arizona is the best option, we can help you file a Chapter 7 Bankruptcy or a Chapter 13 Bankruptcy to eliminate debts and protect your property. 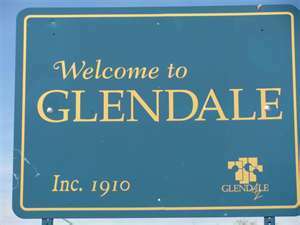 Let the experience of our Glendale bankruptcy lawyers to work for you. Determining if you should file for bankruptcy protection is a tough decision. Our Glendale bankruptcy law firm will help you with this tough decision. Just remember, if you’re having financial problems that just keep getting worse, you really do need to do something to get out of debt. 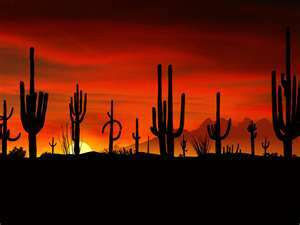 That’s why Arizona has bankruptcy laws – to help good people in Peoria and Glendale Arizona through the tough economic times. If you are under the tremendous stress of unmanageable debt, it is crucial that you take action before the situation gets even more serious. 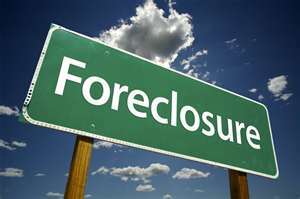 Facing foreclosure on your home, lawsuits, repossessions, garnishments, credit cards, some student loans, and other debt problems can usually be resolved through filing bankruptcy. Thousands of Arizona residents have taken advantage of this opportunity to get a fresh start by filing bankruptcy, and are experiencing the relief and have a new hope for the future. Our Glendale, Arizona law firm is committed to helping you resolve your financial difficulties through a variety of legal actions. We urge you to contact us as early as possible if you are facing foreclosure, repossession of goods, having your wages garnished, or have other serious debt-related issues. Our Glendale, Arizona Bankruptcy Lawyers understand that declaring personal bankruptcy is not an easy decision for you and your family. Let our experienced bankruptcy lawyers and attorneys help you with your financial situation and tough decisions. Our bankruptcy law firm offers evening and weekend appointments, low legal fees, helpful attorneys and staff, and a FREE Initial Consultation and Debt Evaluation to determine the best course of action for your financial situation. At our Glendale family law office, we provide quality legal services in the areas of family law, civil law, and bankruptcy. 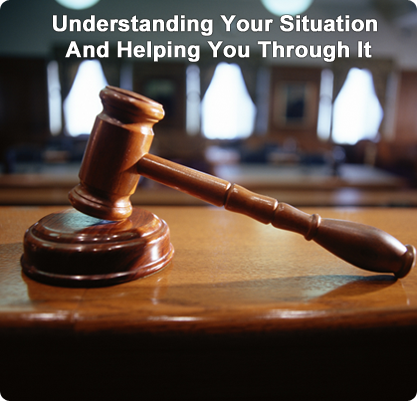 Our experienced lawyers will guide you. No matter what type of case you bring to us, you can be certain your attorney will work hard to understand what is important to you and help you achieve your goals. The initial consultation is free, giving you a chance to present your situation and find out what the best course of action may be for your particular legal matter. • A method of mediating or resolving disputes. No particular method is required. It is common to provide the parties will work with a mediator, counselor, or member of the clergy before taking problems back to court. An experienced Arizona family law attorney can help you prepare methods of mediation regarding custody. 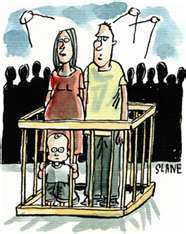 It is important to have representation to protect your and your childrens’ interest. From our family law offices in Glendale, Mesa, Peoria, Phoenix, and Tucson our experienced Arizona family law attorneys have helped thousands of clients throughout Arizona through legal matters of the family. We are happy to meet with you to discuss your family law situation. Our Arizona family law lawyers offer a free consultation and will answer all your questions regarding child custody, divorce, and all other family law issues. For more information or to set up an appointment on-line, visit us at https://legalhelp-az.com . Call us today at (623) 640-4945. Our Glendale family law attorneys, lawyers, and staff look forward to assisting you. Give Me Back My Deposit! One common question from tenants is how the tenant can get her initial deposits back at the end of the tenancy. The first thing you need to know is that a tenant is only entitled to recover refundable deposits, and not non-refundable deposits. For instance, many leases require a non-refundable pet-deposit if you plan to bring a pet into the rental unit; such deposits are not recoverable. However, many other initial deposits are in fact refundable, and the following steps must be timely completed to recover them. 1. Move Out: The first thing you must do is actually vacate the premises. 2. Turn in The Keys: The tenant must not only vacate the premises, but must also surrender possession of the property. 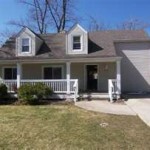 In practice, surrendering possession is accomplished by handing over the keys to the property. 3. Make Written Demand: Once possession is handed over, the tenant must make written demand for the return of the tenant’s deposits. To be safe, the written demand should demand the return of all refundable deposits or in the alternative an accounting showing why the deposits will not be returned. 5. Enjoy Your Money or Come See an Attorney: If the landlord returns your deposits, then enjoy. However, if the landlord fails to return your deposits you should seek immediate legal counsel. Failure to return refundable deposits or at least an accounting for why no deposits will be returned may result in the landlord owing the tenant additional money. 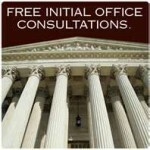 To schedule a free consultation with one of our attorneys, click here.